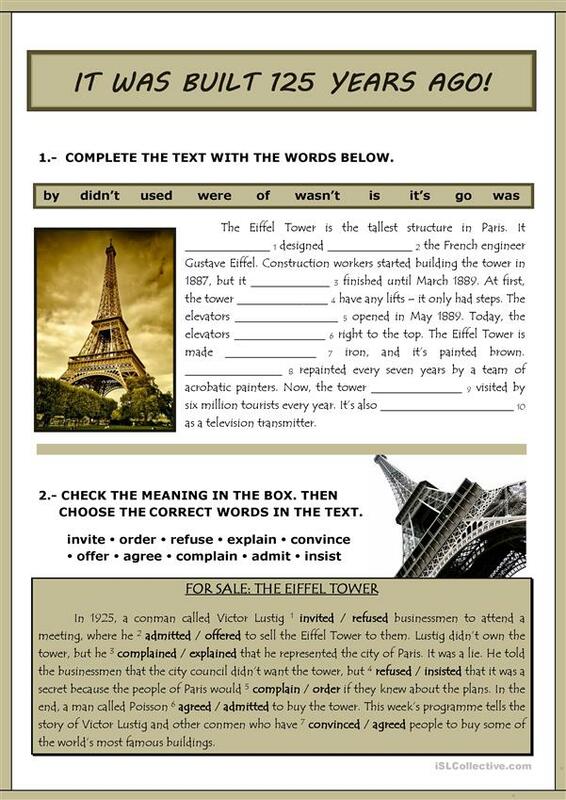 Two exercises about the Eiffel Tower (Passive and Reporting verbs). I've uploaded the ppt version with the keys to use it on the board. This downloadable printable is a great resource for high school students and adults at Pre-intermediate (A2) level. It is a useful material for practising Passive voice or active voice in English, and was designed for improving your students' Reading skills.